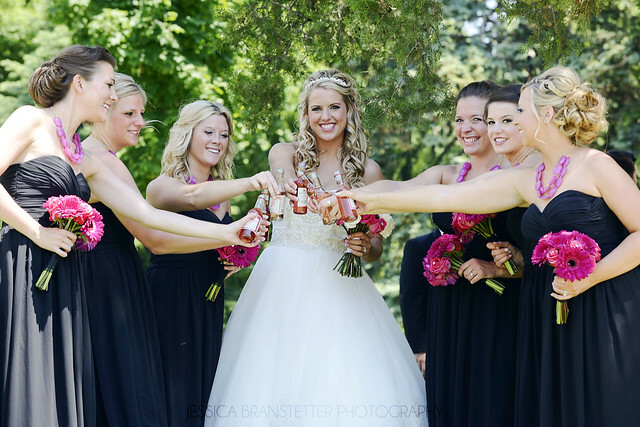 Brides to be will be glad to learn there are lots of easy ways to save money on their weddings. In today’s post, we’re going to present you with some brilliant ideas that have worked well in the past. With a bit of luck, you will come away from this article feeling a little more confident. We all know how stressful you can begin to feel when you don’t know if your funds will stretch. Don’t worry about anything! We are here to help, and the information below is guaranteed to help you make savings. Firstly, there is no need to buy an expensive suit for the groom. Most men have little sentimental feeling towards clothing. If you spend thousands, it will simply hang in the wardrobe for years. It makes more sense to visit a local hire shop and lease one for a couple of days. Your groom will get a better quality suit than you could afford to purchase. On top of that, your budget won’t get stretched too much. Hen and stag parties can be very expensive. In most instances, the bride and groom would put some cash aside to pay for the evening. However, there is no need to do that. Why pay for a costly party when you could simply spend some time with your friends? Maybe you could go out for a quiet drink in your hometown? Perhaps a social gathering at your home would make more sense? Either way, save your money and spend it on something more important. There are lots of ways in which you can save on wedding invitations. Firstly, you could avoid physical items altogether. There are lots of services that allow you to send digital invitations online. That could help you to save hundreds of dollars. Those of you who are committed to handing out physical items should find free wedding invitation templates online. At least then you only have to pay for the printing. Booking your wedding in the afternoon will mean you don’t have to pay for a three-course breakfast. You can simply go straight to the evening entertainment and food. Buffets are always popular for weddings, and so there is no need to go overboard. While hog roasts are nice, they could break the bank. At the end of the day, the wedding is about the happy couple. It is not about the amount of free food available to guests. We hope those tips will help you to make amazing savings this year. When all’s said and done, your wedding day should offer a magical experience. Even so, you need to be realistic. Getting yourself into mountains of debt is not a good way to start your marriage. So, you should look for savings everywhere and avoid spending too much on the occasion. Who knows? You might want to have children next. That means you will need the money to pay for them.